Hey Coffeeholics! Can you feel the heat? Looks like summer is definitely here to stay and so is the new accessories line launched by SM Accessories called LOVIN' SUMMER. I had the privilege of being there during the launch and saw the items first hand. There are some awesome pieces that I would definitely love to have. So go ahead and check out what SM Accessories has in store for us! Everything bright, bold, and beautiful. SM Accessories draws inspiration from the corals of the sea and aqua blue waters; as well as the earth toned beach sands for its summer collection. Reptilian inspired pieces will also draw fashion raves. Super love the statement necklaces here! I bet you want those bangles, rings, and that super cool necklace as much as I do! What is FIERCE? Love the necklace! Nautical inspired pieces that make waves, high energy sportiff savvy, and classic neutrals showcase the summer style of fashion forward men. Kids are cool with a lot of looks for fashion play from SM Accessories: free spirited boho, dazzling brights, and military mixes. So glad to have met again old friends and new during the event! Jen and Tatie! Glad to have met up with you again dear! And the rest of the bloggers! Thank you SM Accessories for the invite! This special to what Summer could be like (which was a bit ironic though coz it was raining that time!) still made me all excited for the vacation! And yes my dear coffeeholics! 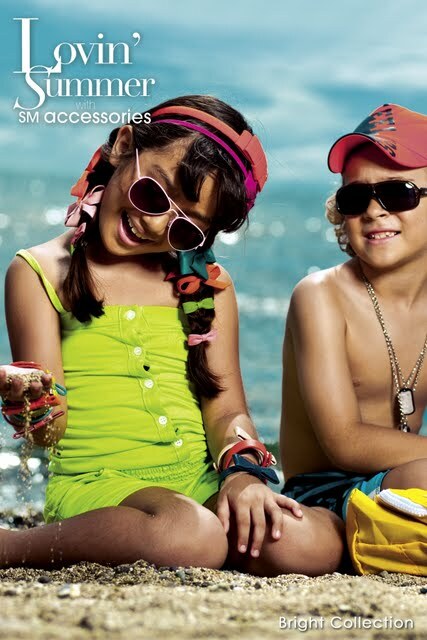 The Summer Lovin' Collection of SM Accessories is already available at the nearest SM Dep't Store near you! Indulge yourself this women's month and get some awesome summer accessories while its hot. COFFEEHOLIC PROMO ALERT!!! Become a fan of Style Me: SM Accessories FB and check out their upcoming Lovin' Summer with SM ACCESSORIES "Win a Trip to Anywhere in the Philippines!" promo! Looks like 10 lucky people will be getting PAL round trip tickets plus cool shades from Ray-Ban and D&G. Visit their page and watch out for further announcements on March 14 to know more about this. Just get ready with your SM Accessories Summer Collection receipts. Also do follow them at Twitter. So what are you waiting for my dears? I'm going shopping this weekend. What about you? What collection will you be getting? Share share share! The White Hat Smoothies for Summer!